In a flux of worldwide geo-political tension, Ireland must maintain competitiveness to continue to win FDI, says Executive Director of IDA Ireland, Mary Buckley. Following on from the best year in the organisation’s history, IDA are confident that Ireland will continue to attract clients from around the globe, despite a turbulent geo-political atmosphere bringing a global dampening of FDI investments. 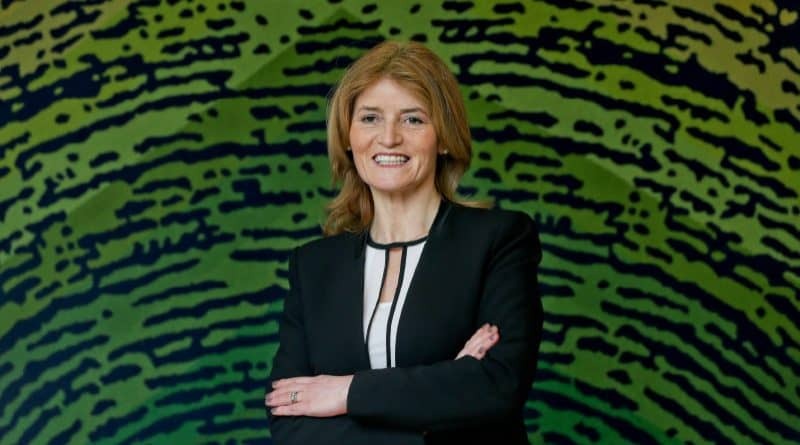 Executive Director with responsibility for the implementation of IDA Ireland’s Corporate Strategy, Winning FDI 2015 – 2019, Mary Buckley says that while across the world there is political uncertainty; Ireland is proving to be a stable location for FDI. As a member of the Executive Leadership Team at IDA Ireland, Mary Buckley has experience across the board, Mary has held senior leadership positions in the organisation over the past 11 years. From 2006 to 2010 she was the Director of IDA Ireland’s North American operation, leading the team in winning investments across all business sectors. Prior to her relocation to New York, Mary was Director of the South Region based in Cork. This wealth of experience gives her an in depth knowledge of Ireland as a business proposition, and where we stand going forward. In January, IDA announced the highest level of employment in its client companies in its history. Total employment in overseas companies now stands at 199,877 people, the highest level on record. IDA Ireland has completed two years of its five year strategy, Winning: Foreign Direct Investment 2015-2019 – with the latest results indicating a strong performance by the organisation towards delivering its 2019 target of 80,000 new jobs and 900 investments. While there is significant uncertainty ahead, Mary Buckley says that the most important thing to remember is that companies choose Ireland for a reason. IDA’s current strategy has a large focus on Regions with a recent focus on constructing buildings in regions around the country. So far, says Buckley, the initiative has been a success. “It’s government policy and also a key action under the Government’s Action Plan for Jobs. Our strategy highlighted a target of an increase of 30% to 40% in investments in Regions outside Dublin with Dublin continuing to attract similar high levels of investments for Dublin, and we have committed to these ambitious targets. 59% of all jobs created by IDA client companies are outside Dublin so we’ve been very focused on winning investments into regional locations.” While there continues to be a global trend towards FDI favouring large urban centres, IDA statistics continue to show the strength and resilience of FDI in regional locations. In 2016, IDA saw some extremely high profile clients moving into the regions. In Cork, Cylance established its cybersecurity EMEA Operations with Opening of an office in Cork which will generate approximately 150 job opportunities over the next three years. Fazzi Healthcare Services established a new Irish based coding and healthcare services Company in Limerick, creating 300 jobs over five years. Also in Limerick, Uber established its Centre of Excellence in Limerick and in Nenagh, First Data is to establish an R&D Centre, which will house up to 300 highly skilled employees, while Shire announced plans to expand its global biotech manufacturing capacity with an investment of US$400m and creating 400 new positions upon completion of its project in Piercetown, Co. Meath. Galway continues to prove itself as a Tech hub with Wayfair Inc. (NYSE:W), one of the world’s largest online destinations for home furnishings and décor, announcing the expansion of its multi-lingual European Operations Centre in Galway creating approximately 160 new jobs.